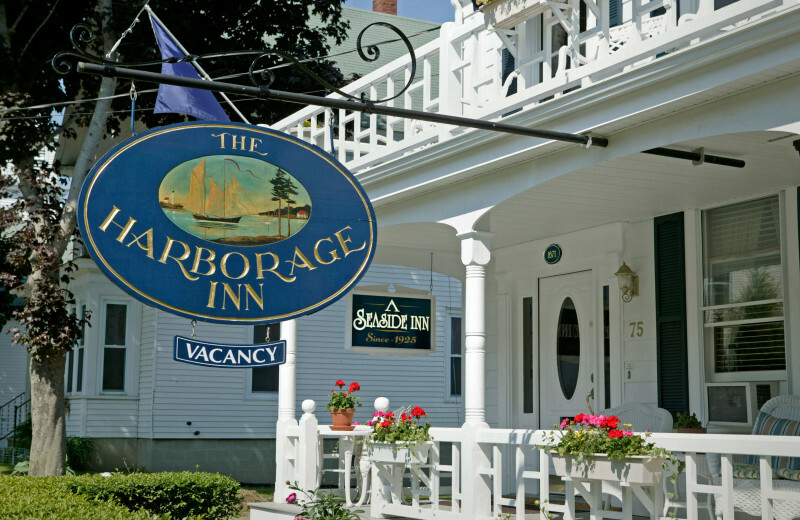 The Harborage Inn is an 1875 colonial inn, nestled on the edge of the harbor, right in the heart of downtown Boothbay Harbor. 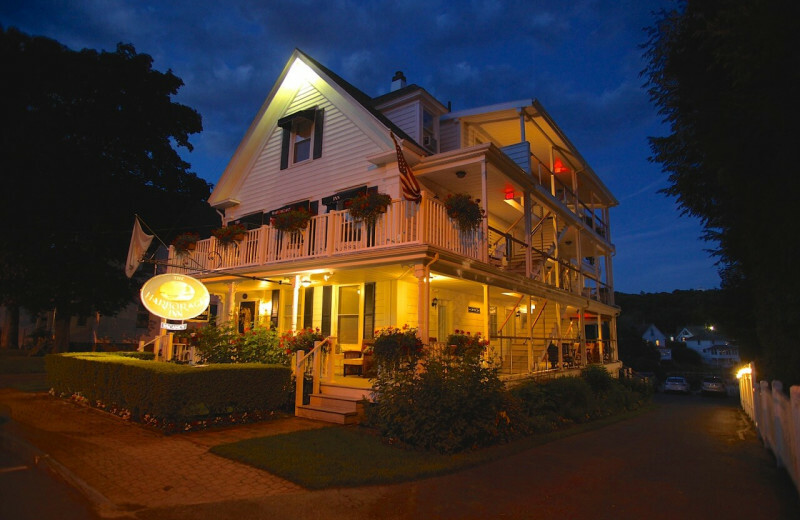 The inn remains the oldest original guest lodging in town and it welcomes solo travelers, couples, and families alike. 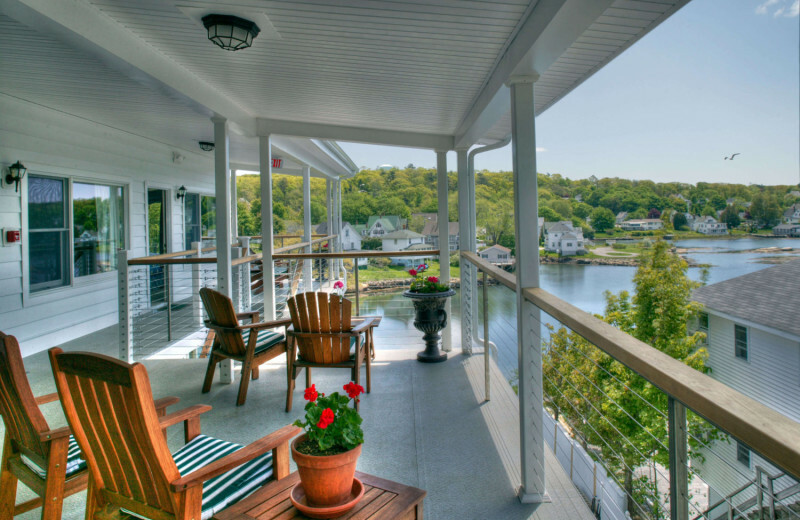 Enjoy the Maine coast while indulging in completely restored and redecorated boutique hotel rooms, suites, and the penthouse. 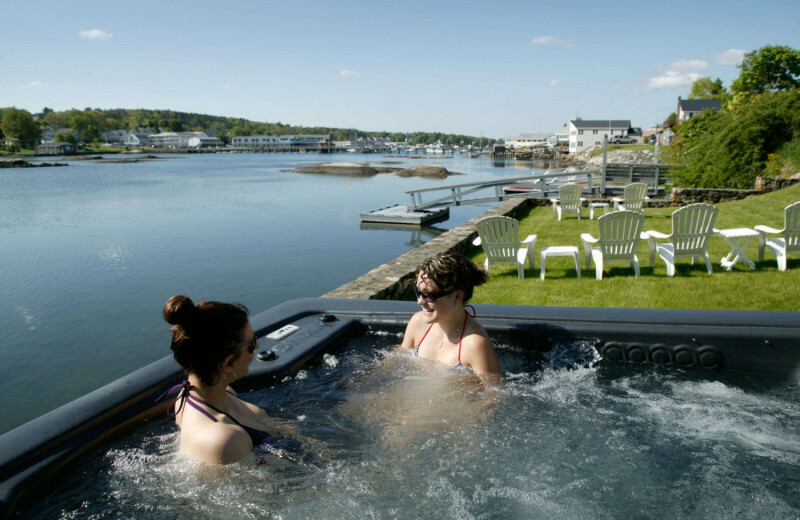 As part of your lavish Boothbay experience, the inn features the only oceanside hot tub in downtown! Rejuvenate with your sweetheart and take in the views. Whenever you're ready to explore the town, a variety of recreational activities within walking distance are available. World-class boat excursions, excellent restaurants, antique and art galleries, and much more are waiting for you! 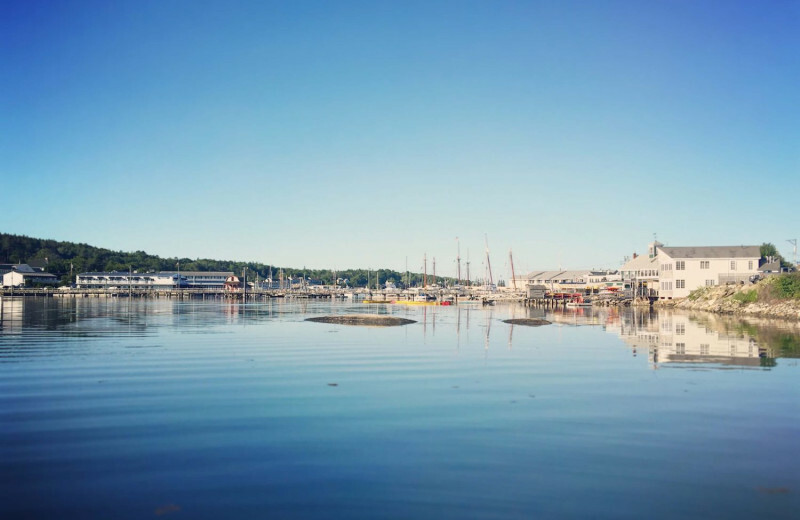 Come experience Boothbay Harbor's number one destination today! 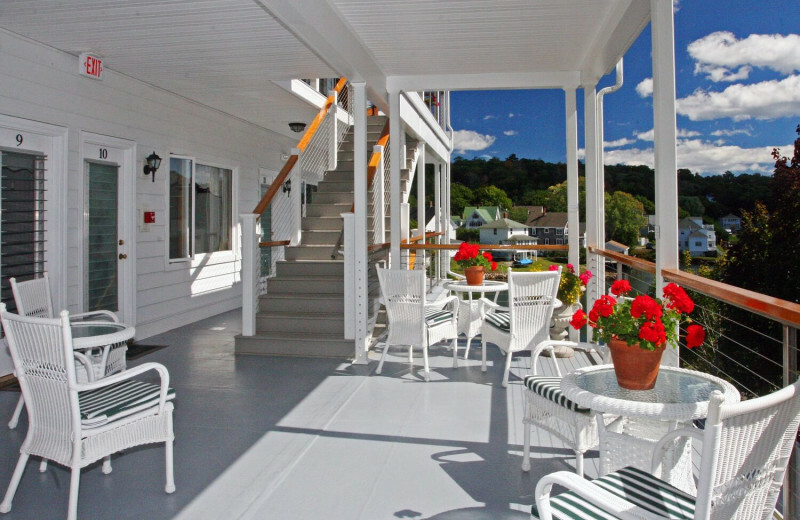 The Harborage Inn is a lavish destination that your loved ones will enjoy. 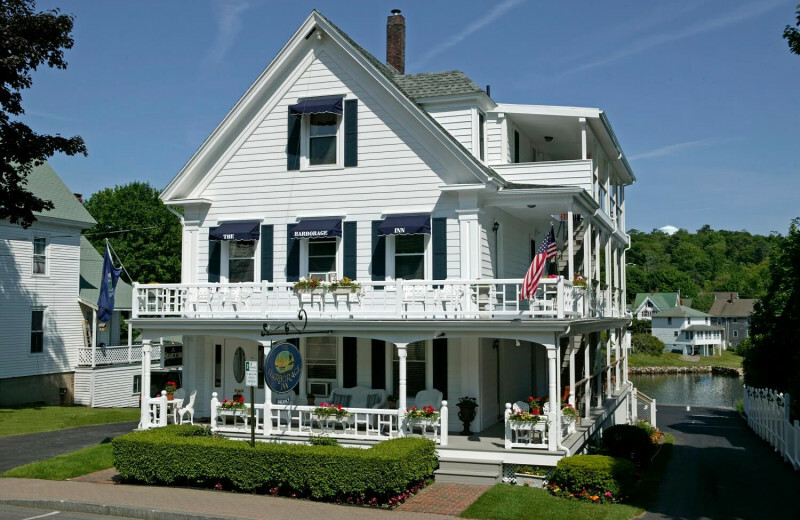 This oceanfront bed and breakfast features excellent amenities and a prime location steps away from countless entertainment along the Maine coast. 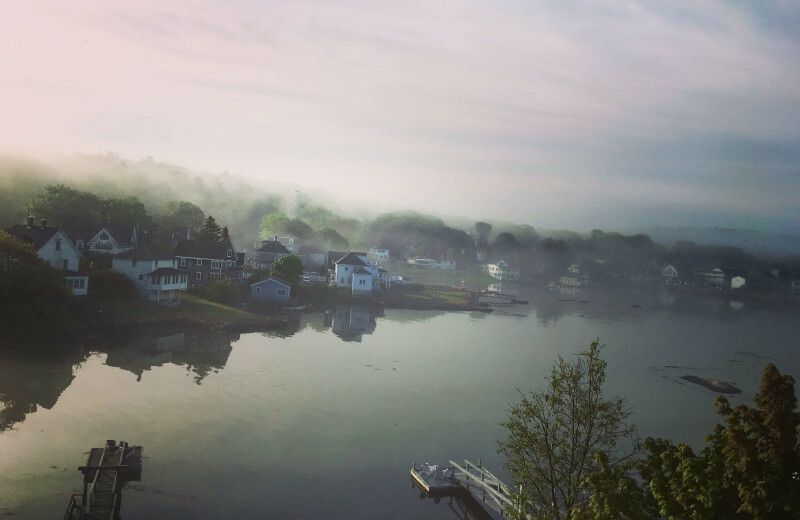 Day trips include a scenic road trip to Damariscotta or a visit to Monhegan Island. There are no cars or paved roads on the island but 12 miles of trails and breathtaking views! 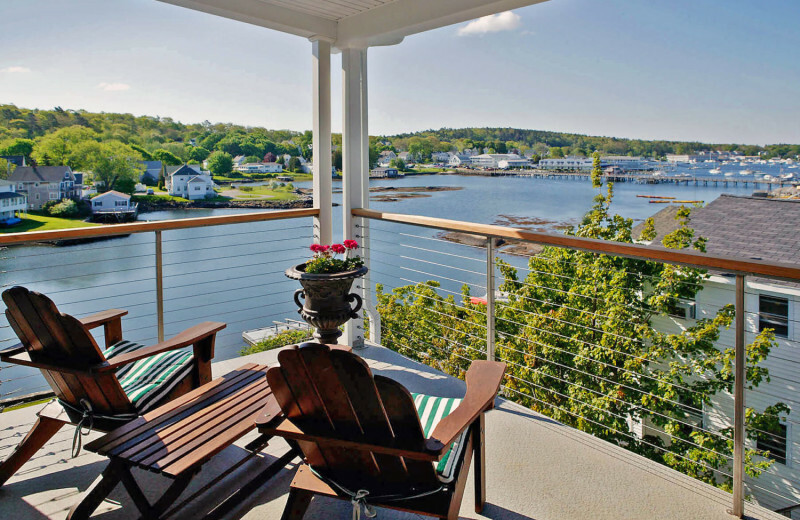 Boothbay Harbor, also known as the Boating Capital of New England, features over 2,000 miles of coastline in a 30-mile radius. This charming coastal destination offers world-class boat excursions, and of course, excellent fishing opportunities. 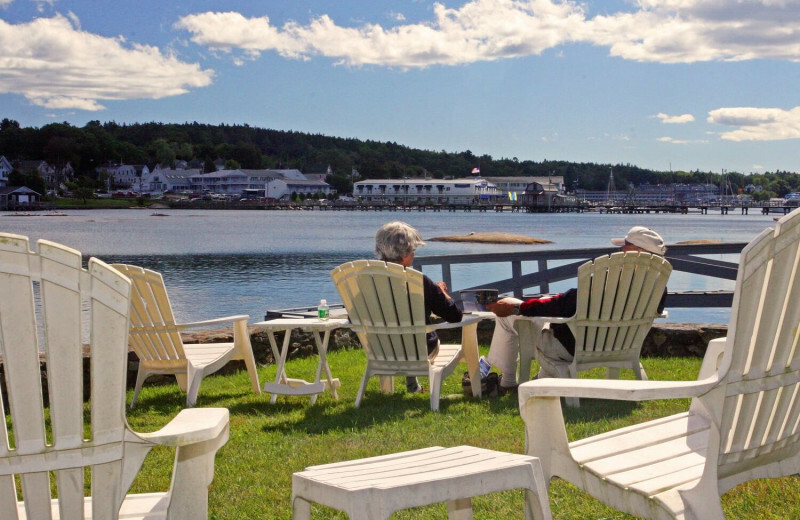 Fishermen love staying at The Harborage Inn for its dock and float which gives them prime ocean access. And if you visit the inn during April, don't miss the opportunity to be part of the Boothbay's annual Fishermen's Festival! 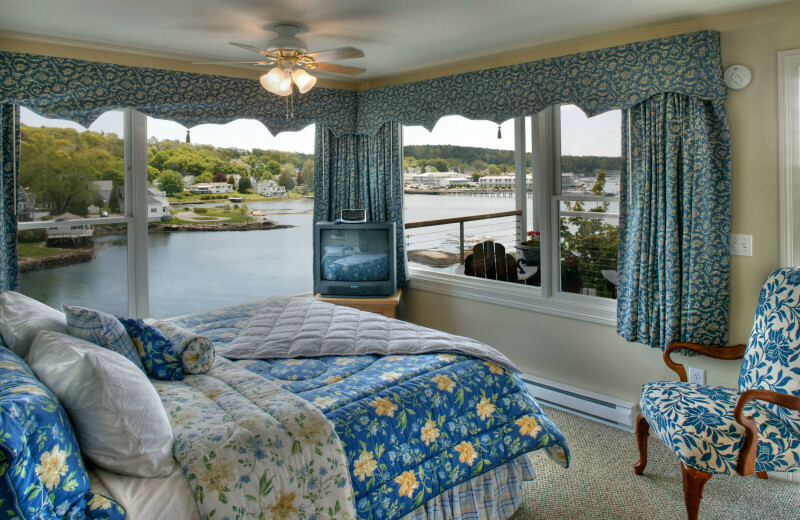 Imagine waking up in the arms of your sweetheart in a luxury room featuring one of the most beautiful Boothbay Harbor ocean views. Make it happen at The Harborage Inn! Experience this unique boutique hotel and fall in love with each other all over again. Relax in the hot tub and feel the ocean breeze. Or plan a romantic dinner at any of the amazing restaurants which serve up local catches including scallops, shrimp, and oysters! 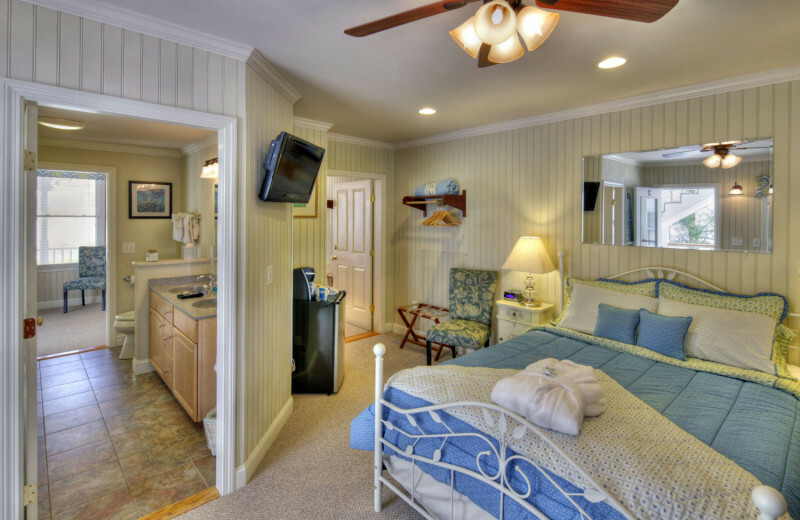 Indulge in elegance and lavish amenities at The Harborage Inn. 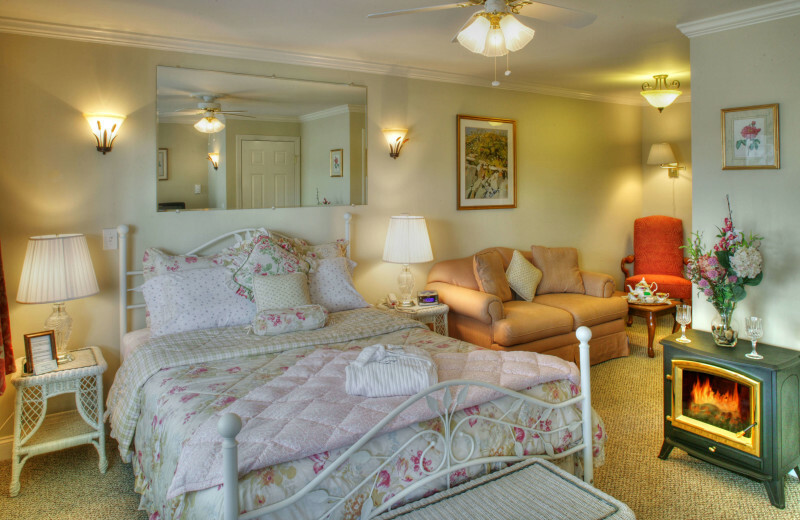 Their Deluxe King Rooms and Penthouse Suite feature plenty of space, luxurious linens, cozy comforters, sitting areas, wireless internet, and beautiful ocean views. 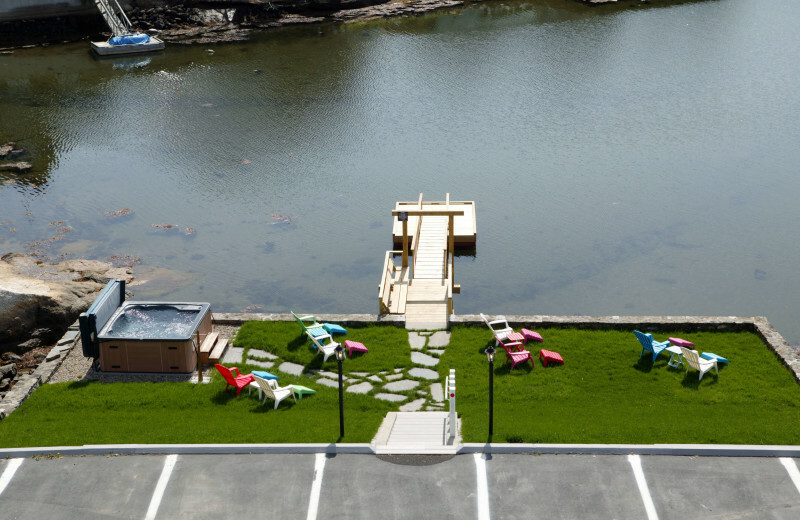 The inn also features the only oceanside hot tub in downtown Boothbay Harbor and you're more than welcome to enjoy it! The Harborage Inn is the perfect destination where honeymooners can relax and rejuvenate after all the excitement of their wedding day. 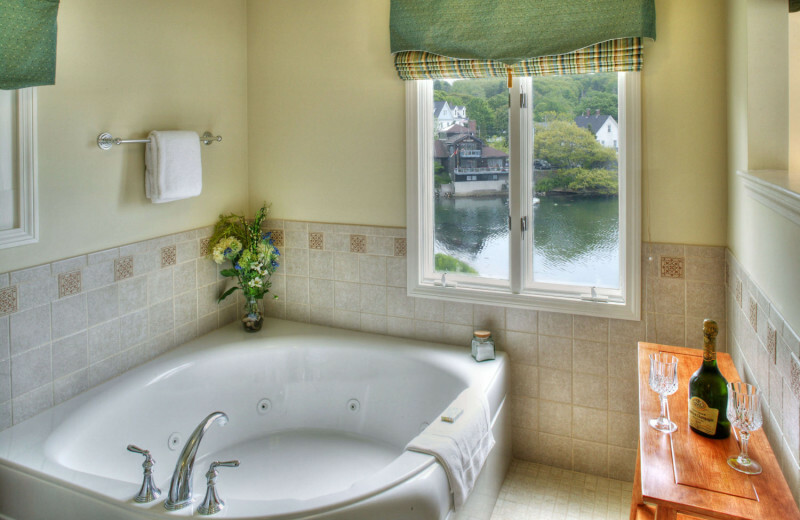 Start your "happily ever after" basking in the inner harbor views while soaking in the oceanside hot tub. And when you're ready for a little adventure, join a boat tour and spot some Maine wildlife including seals, puffins, and even whales! For a more quiet time, visit the Coastal Maine Botanical Gardens where waterfalls, flowers, and birds await. 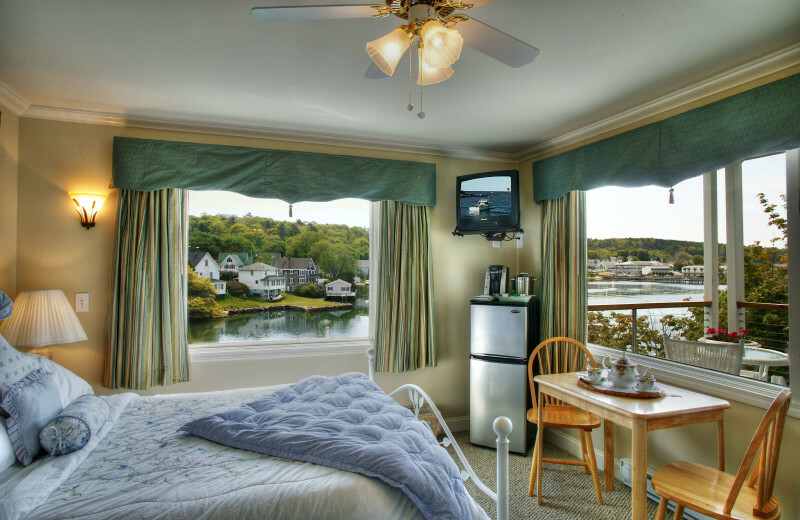 Delight in a gourmet full breakfast every morning at The Harborage Inn. 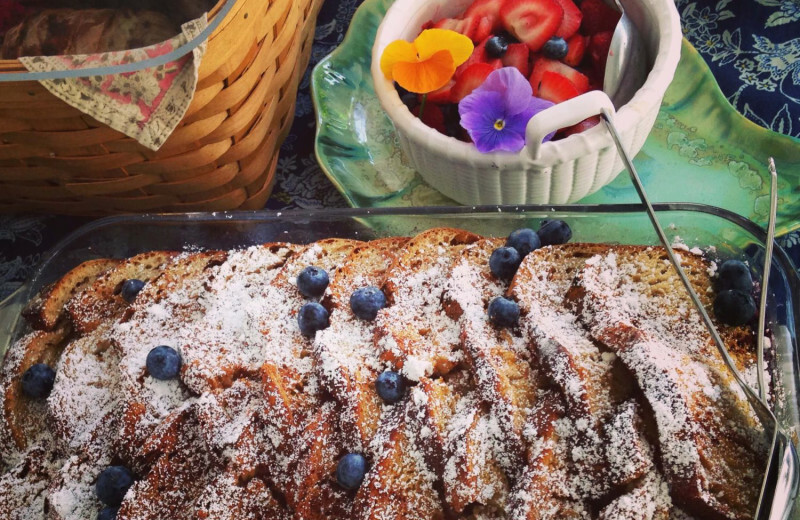 This unique, local, and fresh breakfast is one of the reasons why guests return year after year. From homemade artisan breads to organic granola, locally micro-brewed coffee to locally smoked apple maple sausages, you're guaranteed to have a mouthwatering experience! Book 2 or more nights midweek (Monday-Thursday) and receive 2 free botanical garden tickets and $10-$20 discount per night (depending on the length of stay and room/type). The Mid-Week Package includes 2 Botanical Garden tickets and a stay in one of our newly constructed boutique rooms or suites, complimentary wireless and numerous luxurious amenities, use of our 7 person oceanfront Hot Tub and an amazing Gourmet Organic Full Breakfast (breakfast served during the Peak Season ONLY – 5/28 morning to the morning of 10/10 (Mem. Day to Col. Day) & not during the Off-Season & Off-Season discounted rates are reduced to reflect this). Price for this package is based on applicable date availability, select room & category type (Deluxe or Suite) and only applicable via phone so please call 1-207-633-4640. May not be available during our peak season dates of 6/15-9/30 or in the offseason or holiday or special events or for certain rooms. A specific room is not always guaranteed when using this promotion, but the specific category type (Deluxe or Suite) is guaranteed. Please note that some rooms are already reduced mid-week so they cannot be reduced any further but 2 Botanical Garden Tickets could be available depending on applicable date, room & category availability. Room rate discount cannot be combined with any other discount or promotion listed or offered. The Last Minute Package includes an overnight stay in one of our newly constructed or renovated boutique rooms or suites, complimentary wireless and numerous luxurious amenities, use of our 7 person oceanfront Hot Tub and an amazing Gourmet Organic Full Breakfast (breakfast served during the Peak Season ONLY – 5/28 morning to the morning of 10/10 & not during the Off-Season & Off-Season discounted rates are reduced to reflect this). Price for this package is based on selected room category, availability and only applicable when booked 32 hours or less prior to arrival date so please call 800-565-3742. Please note that this offer cannot be used with any other special offer or package or if room price has already been reduced to the mid-week discounted rate.